With Assembly (2017), Michael Hardt and Antonio Negri have continued their trilogyEmpire (2000), Multitude (2004), and Commonwealth (2009) into the new decade, expanding it into a tetralogy. The fourth episode sees these advocates of commonism once again provide a critical analysis of the most topical developments in society. Their central issue this time concerns why the social movements that express the demands and wishes of so many and show that the common is a fact, have not succeeded in bringing about a new, truly democratic and just society. The line of questioning itself is already controversial, as are many of the propositions and concepts launched by the authors in Assembly. According to them we must confront the problem of leadership and institutions, dare to imagine the entrepreneurship of the multitude, appropriate old terms and, especially, reverse their meaning. We meet with Antonio Negri in his apartment in Paris, to try out this recipe for reversal and to discuss strategy and tactics, ideology and aesthetics, and art and language. Pascal Gielen & Sonja Lavaert: Our book Commonism is about the triangle of ideology, aestheticsand the commons.1 Our tentative assumption is that commonism may be the next meta-ideology, after neoliberalism. We understand ideology not only negatively as a false awareness, but also positively as a logic of faith that connects fiction and reality and can make people long for and work towards a better form of living together. In Assembly you and Michael Hardt do something similar with notions such as ‘entrepreneurship’, ‘institution’, ‘leadership’. What does ‘ideology’ mean to you and do you think it may also figure in a positive narrative? 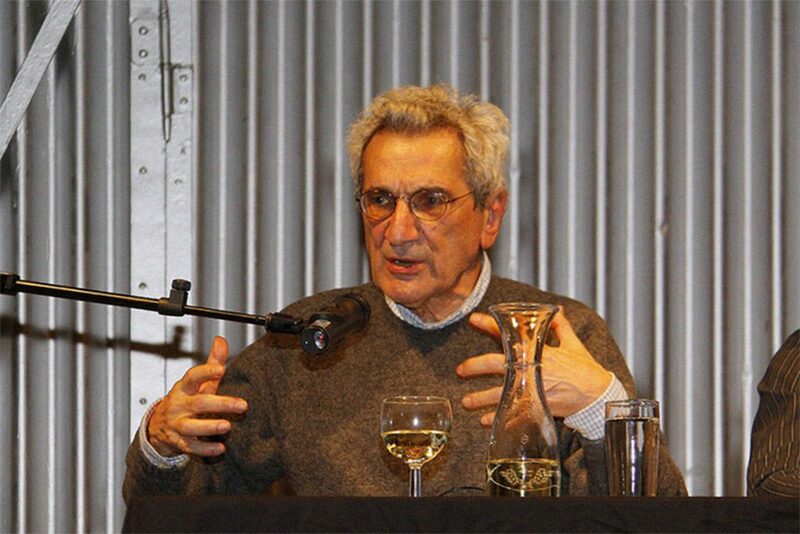 Antonio Negri: In my experience, ideology tends to have mostly negative connotations, or, rather, I have regarded ‘ideology’ mainly in negative terms. This means though that we are speaking of something that is real. Ideology is a real fact. In addition, it is something real that embodies, shapes and constitutes reality. What I see as positive in this embodiment of reality is critique – which can be critique of the ideology or of reality – and the dispositive, understood as the transition of the world of thinking to that of reality. In my view, ideologies make up reality, but I use the term preferably when discussing its negative aspect, whereas when I speak of its positive aspect, i.e., the critique or the dispositive, I prefer these latter words. The ideological dimension is absolutely crucial when thinking about reality and in trying to analyse and understand it, but, again, it can be both positive and negative. Gramsci, for example, saw it this way. The ideological dimension is an essential part of any analysis of reality, but a discourse on ideology is therefore always both positive and negative. On the one hand there is the bourgeois ideology (that Gramsci opposed, as do we) and on the other hand there is the communist ideology (that we support). Today, I think it is better to call the communist ideology a ‘critique’ or ‘dispositive’; ‘critique’ as in taking place in the realm of knowledge and understanding, and ‘dispositive’ in the Foucaultian sense of the transition of knowledge into action. And, well, there is the matter of meta-ideology… Again, I agree with your view that ideology, being something that belongs to the realm of knowledge and understanding, in a sense branches out into reality, feeding and shaping it, and that therefore ideology is always and everywhere present in concrete reality. However, I would be very reluctant to speak in terms of ‘meta’, ‘post’ or ‘after’, as if it were something transcendent or as if there is such a thing as a space of transcendence at all. When we speak of meta-ideology, we refer to the tendency of transcending the traditional party political differences between left and right. It is a trend that can be seen clearly today, wherever the theme of the common is picked up or where common-initiatives are being developed. And elsewhere as well: liberal politicians write books about the importance of the basic income; neonationalism presents itself as a longing for social cohesion; religiously inspired political parties emphasize communion and the community, et cetera. Common is not the exclusive property of the left, that much is clear. Looking at history from a Marxist perspective, we see how it was precisely the commons that were transformed by capitalism to be financially profitable. Capitalism’s attitude towards the commons is about expropriation, exploration, creating surplus value, and the dominion that is founded on these things. The common exists in two major forms: there are natural commons and social commons and, as Michael and I put forth in Assembly, these can be subdivided into five types: the earth and ecosystems; the immaterial common of ideas, codes, images and cultural products; material goods produced by cooperative labour; metropolises and rural areas that are the domain of communication, cultural interaction and cooperation; and social institutions and services that provide housing, welfare, healthcare and education. Now the essential characteristic of the present-day economy and society is that the social production of the commons is being exploited by capital. The struggle of the commons therefore is working people re-appropriating that of which they were robbed by capital. Re-appropriating what was taken from them and putting it to work for the benefit of the common: that is the meaning of liberation and emancipation. This also means that the fiction of ‘post’ or ‘meta’ is debunked and eliminated. There is no meta. The struggle of the commons is the possibility of eliminating an ‘outside’ (meta [above], post [after]). This struggle is exclusively fought in the domain of immanence, meaning: here and now, at the heart of the reality in which we find ourselves, because there is no ‘outside’. By the way, we can only speak in the abstract about common as a general unitary, singular and exactly definable concept, because in reality the common is always twofold, just like labour is. I fully agree with that conclusion and analysis, but I would still be wary of using such an ambiguous term. The word ‘meta’ covers a political concern aimed at reconciliation with regard to the profound rift between, to put it bluntly, the bosses and those who are exploited. What do you think of the fact that the Open VLD, the liberal party in Flanders, is organizing a conference about the commons as apparently they think it is important, without necessarily wanting to capitalize it but, as things look now anyway, because they are genuinely interested or find something lacking in their liberal system? It is obvious that we are facing enormous problems nowadays. We see a general transformation of the system of production as it is being automated and robotized. These are things that we thematized and analysed in our operaismo movement, some forty years or longer ago. In the first issue of Potere Operaio, in 1969, we demanded the ‘civil income’ (reddito di cittadinanza) and this was because we already foresaw this process in which labour would be reduced to a completely secondary element. The question is how to respond to this revolution and reality and as far as that is concerned I see an urgent need to create spaces for developing initiatives outside of capitalism. There are a number of interesting initiatives in Belgium: the start-ups, with already 50,000 participants, and Michel Bauwens, the founder of the P2P Foundation. And yes, the commons is a domain that very much interests ‘the right’. The same goes for social democrats, by the way. So, the entire problem consists of understanding what the alternative could be, how to respond, what to do, and this is in fact the very theme of autonomy. In our research and book we speak of aesthetics not only in regard to art but also in relation to society. We understand aesthetics as the shaping or design of both material and social things, of people. In your book Assembly we detect a similar idea: assembly characterizes the aesthetic style and strategy of the commons. Likewise, in Commonism, we oppose the aesthetic figure with the abstraction that we associate with exchange value, finance capitalism and neoliberalism. What does the ideal assembly look like, in your view? What are the conditions for its realization? How can non-humans (things, nature) be involved in an assembly? What instruments or strategies are needed? In short, how should assembly be practically organized in order to function well, in your view? We argue that the assembly is already there. It is already there in the structure of the present-day economy in which labour has transformed itself in language and in cooperation that is largely autonomous. The assembly is what we are confronted with. The problem therefore is how these labour forces or subjects / people who produce subjectivity can become political subjects. This is demonstrated by the recognition of the common, by the transition to the common and being together, by the transition of the mere finding of being together to being aware of it. The transition of collaboration and being-in-common to the production of common subjectivity is the central element of the assembly. The comrades and activists who take part in the fight of the movement, from Occupy Wall Street to the Indignados in Madrid, have attempted to bring about such a transition, especially from the condition of people producing under capitalism and whose situation simply happens to them to a free condition in which the common is built and formed. This transition is fundamental and in addition it demonstrates that commonism is much more feasible today than in the previous situation, in which the workers were organized and brought together by capital. Before, the workers were brought together, they did not come together of their own initiative. This is no longer the case and precisely this means an enormous boost for the possibilities. The possibility for liberation is infinitely larger and wider today, because there is this being-together, an ontological fact that is also a point of departure. The assembly is an ontological fact that must become political, that is the heart of the matter. Marx has said of the working classes that they were made by capital and that therefore it was necessary for them to become aware of their situation through a political party, an external organization, an ideology, et cetera, in order to become political. Today we see a maturity and an original organization, so to speak, thanks to the transformation that occurred in labour and society. Labour today is no longer a labour under command. The aspect of the command is becoming increasingly alienated from the possibility to work together subjectively. What is important, is that the language that is formed by the worker comes before the command, precedes it. The importance of neoliberalism, by the way, is that it understood that this autonomous use of language can be reversed and can be made use of by capital. This is why the most important political work of today is to recognize this subjective and special use of language and to reverse again what capitalism and neoliberalism have reversed, and to bring about the liberation. We are still not quite convinced, in the sense that we miss a concrete definition of what assembly exactly is. Looking at this as a sociologists, we look at examples of assemblies such as the Ex Asilo Filangieri in Naples, and we think: assembly is a tool, a meeting method, a more democratic way of organizing things, of taking autonomous decisions, of achieving self-governance. Can we say that assembly is a formula for organizing direct democracy? What Michael and I have in mind is exactly the type of phenomenon like L’Asilo in Naples, where sovereignty has been reversed: to the common, to a space and a series of shared goods (beni communi) in the widest sense, both material and immaterial goods. In other words, where a series of remarkable initiatives is undertaken for the common good. The concept of common is always a production, something that is invented, made, shaped. The assembly is this: a body of people, a small multitude that manages well the shared (material and immaterial) goods and thereby constitutes a common. The fundamental concept of assembly is that the political and social are again joined and today we have a chance, an opportunity to do this. Unlike Lenin, we no longer find ourselves in exceptional conditions like it was with the Russian Revolution when there was only hunger, war and catastrophe and everything had to be torn down in order to create a new force. Now, today, we have the opportunity to transform the assembly into a force. Because that is politics: lending force. Or, that is aesthetics, if one wishes to use that term: lending form and force. There is no form without force. Politics is force, power – and that includes the aspect of violence. In politics it is about the force (the power, sometimes violence) to construct peace. What we see in the practical functioning of assembly, for example, is that the practice of language becomes very important. After all, people have to speak to each other and try to convince others through dialogue. Now this mechanism has two problems: 1) those who speak more and better have an advantage in winning the debate; and 2) there is a class phenomenon. In the situation of an assembly the middle class becomes dominant: those who are white, educated and can speak well have the floor, so there is an element of selection. My question to you is: how can the assembly be organized in such a way that there is no such selection or that this shortcoming is compensated for by letting basis-democratic principles prevail? How does one give a voice to those who remain silent? We are of course discussing examples and I think that especially in Naples, if one looks at the periphery, in the surrounding region, in all those places where the casa del popolo are strong and many initiatives are taken by the people, one definitely sees a direct proletarian use of language, and in quite dominant forms. There are also initiatives such as L’Asilo that already have quite a tradition, that have statutes and a legal structure. And yes, in those cases a certain political class is involved. However, I think that the assembly is both cause and product of a break with class distinction. The obvious objection one could have against these assembly initiatives is that not everything has been properly defined. We are after all speaking of a process that is not free of contradictions and downfall, but it is an extremely important process and it has begun. The problem is that we have to develop a different model than that of parliamentary democracy, or, rather, we need a post-parliamentarian model of democracy. What do you think of the fact that in Naples a commissioner for the commons (assessore dei beni communi) has been appointed? We ask this specifically with regard to your rejection of state institutions. We cannot have this discussion with Naples as an example. The situation there is quite ambiguous. What is happening there now was achieved with great effort after an immense political crisis: the PD(Democratic Party) in Naples is divided into four or five factions, the 5 Stelle movement is weak, and there is this incredible Mayor Luigi de Magistris, a former magistrate – very straight and tough – who is open to what according to him might constitute the majority. So all this makes Naples a rather unique case, a confluence of events. There are so many contingent factors playing a part there. The first concern of the comrades who occupied buildings was therefore to obtain a guarantee, an anchoring in the institutions. But to return to our point, the institutions are indeed a major problem, but we should not concern ourselves with the case of Naples as it is very much a separate case. In Assembly you regard the new leadership of the commons as a possible strategy of the multitude and as a tactic of the leader. The leader can only temporarily – and depending on her or his expertise – make certain tactical moves in the general strategy of the multitude. How can this be organized and in how much is your reversal of attribution of the strategy (to the multitude) and of tactics (to the leader) different from a representative democracy where leaders are also only appointed temporarily? I think that we are faced with the problem of removing or eroding the political relationship between movement and leader. What is at stake is decision authority. What exactly was the formula of political parties? A party gathered a great number of people along a certain political line that was decided upon by the top, by the leader, and which was literally imposed on or taught to the people in a top-down fashion. In our work, Michael and I take the critique by movements as our starting point, because these movements reject the existing institutions. Today, we have to reject leadership but not necessarily institutions as such. So we are now faced with the problem of the institutions and we have to solve this, we have to face this, and study it together. Or, in other words: we have to bring back the leadership to the movement and it is within the movement that the hegemonial strategy of leadership must be developed. We have to take the decision authority away from the leader, or rather, take the abstraction and transcendence of the decision away from the leader. But how does one choose the leader, and how do the commons differ from representative democracy? The problem is not how to choose, as this can be done in any number of ways. The problem is that of the power that is given to the leader. Often though, the leader will spontaneously emerge from the multitude. The power of the leader must be limited to the tactical level and this usually means the power to make proposals. Anyone who has been active within the movement knows the phenomenon of the leader who spontaneously comes forward. It has to do with the actual needs and problems the movement faces and into which the leader has more insight than anyone else. One often sees how a leader’s power is acknowledged at some point and then begins, works out well, and thus becomes a reality. Let me give an example. During the 1917 revolution, Lenin succeeded in becoming the tactical leader because he could instantly, in a very direct manner, provide answers to two problems that presented itself at the time: peace now, and land to the farm labourers. However, on the other hand, the powers representing the military and the farmers were convinced that neither the soldiers nor the farm labourers were ready for these changes and so they didn’t undertake any action. It was a paradox: the leader, Lenin, saying no to the ruling institutions because he understood what the soldiers and the farm labourers needed. This is a tactic that becomes power and force (forza). The leader is always temporary, tactical. He steps forward in a struggle of the people / subjects who have demands and needs. But then how does the leader know what those needs are? Simply because they stem from the people? Quite so. He knows what is needed because he is part of it, because he is in the middle of it, but, again, this is a paradox. According to the official history books Lenin was a demagogue who played games with the people, but I know that the reverse is true: the revolution succeeded because Lenin understood that these were the real needs and because he immediately articulated an answer to them, without all the compromises, crippling detours and institutions as created by the parliamentary system. Those real needs to which he provided an answer were peace now, immediately, and giving the land to those who worked the land, without any compromise. The same is true for many leaders. Churchill, for example, took a direct decision to fight against the Germans in World War II. This is the point: the leader who immediately and directly coincides with the needs and wants of the many / the common. In Assembly you defend the hypothesis that the institutions or the leader don’t need a centralized rule but that they can be realized by a multitude in a democratic manner. The examples you provide for the future of the movements are in line with this hypothesis: for example, Black Lives Matter. But isn’t this notion and aren’t these examples at odds with or even contrary to your criticism of the ‘horizontal leader-lessness’? This leads nicely to our next question. You advocate complementarity of the three political strategies: pre-figurative politics, antagonistic reformism and hegemony. Existing institutions are abolished and new, non-sovereign institutions are created. What exactly needs to be abandoned when it comes to existing institutions? We are currently witnessing the death struggle of the concepts that have dominated political thinking and practice in the nineteenth and twentieth century. The most important of these dying concepts are national sovereignty and property, both private and public. National sovereignty has been beaten by globalized capitalism, but at the same time actual capitalism is founded on those same barely surviving concepts that influence and mutually confirm each other. The concept or principle on which national sovereignty is based, in particular the ‘border’, has really become absurd. We transcend and cross borders constantly. Our brains are globalized and have no more use for the concept of border, so we need to get rid of it. That is the theoretical work that needs to be done: giving short shrift to moribund principles and concepts such as the border. As abundantly clear as this is for national sovereignty, so it is for ownership, both private and public: ownership is based on the same logic as the border, an obsolete concept that is at odds with reality. Even more so: property and border are one and the same thing. The concept of the common, by contrast, is not one of ownership. In thinking about this issue it is extremely important to make a distinction between ‘common goods’ (beni comuni), which can be the object of ownership, and ‘the common’ (il comune) as in ‘commonwealth’, which is a production, something that is formed by the common from within and which consequently cannot be owned. Is there anything positive you could mention about what these new ‘non-sovereign’ institutions might look like? How should the three political strategies – pre-figurative politics, antagonistic reformism and hegemony over the institutions – work together exactly? Is there a sequence that these three strategies should follow, or should they be deployed in parallel? That is a question of the political practice. I simply can’t answer that, as it is too hard to do this sitting at a writing desk. It is both impossible and undesirable. I don’t see it as part of my work, which is studying, philosophizing, providing general frameworks in a critical manner, studying the foundation of the discourse, questioning the principles and concepts. And then there is the practice of the struggle and it is within the struggle that debate and consultation should take place, among each other, about what should be done. We cannot be expected to predict the future, and it is not our ambition to do so. To me this is one of the core issues: we will have to wait until the future announces itself, breaks out. That takes place in practice, whereas in my work I wish to point out directions, and formulate a critique of the principles of ideas and structures. In Assembly you quote Hegel: ‘Everything turns on grasping and expressing the True not only as aSubstance, but equally as Subject’.2 What exactly is subjectivity to you? Does subjectivity take on a different form today and if so, what does it look like? To Hegel, subjectivity meant synthesis and overcoming. Think of Alexandre Kojève’s interpretation of the master-slave dialectic: the slave overcomes the master in as far as he serves him and at the same time constructs him. Also think of the concept of the proletariat in relation to capitalism in the work of the young Marx: the proletariat forms itself and realizes its project in as far as it becomes a fully integrated part of the bourgeois society. In Capital we no longer find this interpretation, and it is also gone from or at least nuanced in our analysis of the reality of workers today. Today, the subjectivity of the worker is that of singularity, of a particularity that is being produced in the construction of the common. This particularity is invention, is immaterial and serves to construct the common, that is, a bringing together of all these things. The (worker’s) subjectivity of today is a production of ‘being’, as it is an innovation and a surplus. It is a practice of freedom and therefore the production of subjectivity is something that transcends any identity. The subject is non-identic, is not an identity (hence the impossibility of providing exact definitions for it). The subject is formed in the collaboration, in being social, and it is something historical. How do you see the role of art and the art world in the organization of assembly? On the one hand we state that the art world today indeed has a role by creating a space for exchange and debate, which is lacking in mainstream media, at exhibitions and during biennales. On the other hand we conclude that it doesn’t go any further and that these initiatives remain limited to the domain of the discursive. Also, these initiatives are often used as PR tools, turning the debate into a commodity. In light of this, what role can the art world – and art itself – play according to you, and can it have a role at all in shaping and strengthening the commons? As I have tried to clarify in my book Art and Multitude (1989), art can always be linked to its mode of production. Art is production. Its dignity is derived from the fact that it is production of ‘being’, of meaningful images. In other words, of images that shape ‘being’, that take ‘being’ out of a hidden condition and transform it into an open and public condition. This always happens during a process of production. This is why there is an analogy between how goods are produced in general in a certain historical context and how art is produced in that same context. In art there is always a ‘making’ in the sense of constructing something. Art is always a form of building, a bringing together, a productive gesture. When looking at things from this point of view, it becomes clear that it is all about making distinctions within this world. There is beautiful art and there is ugly art, useful art and useless art; likewise there is art that markets itself as a commodity and there is art that is a form of productive artistic making. Like language, art produces communication, it makes connections. Especially nowadays, art is like the practice of language in constructing connections, becoming event. Art is getting rid of materiality and is increasingly linked to immaterial production. It follows the same trend as the immaterial production and makes connections in fluid, unstable, and new images, in unexpected forms and figures. In this way art affiliates itself with the present-day mode of production and, like this mode of production, it interprets behaviour that is related to special events and passions. We are in a phase of metamorphosis of art, just like we are in phase of the production mode in which labour is completely transforming itself. With regard to art I would like to underline two things. First, I assume that art is a form of making and working that is therefore completely linked to the production mode of a specific historical situation. Second, I assume that art has the capacity to produce ‘being’. Of course not all art always produces real ‘being’. By this I absolutely do not mean that there is good and bad art; that is not for me to say. But I do think a distinction can be made between art that serves the market and that is produced and circulates within the market, and art that is absolute production, meaning that it produces ‘being’. One year ago, at the Venice Biennale, Marx was read; at documenta 14 in Athens, so much engaged political art was shown that the 12 April 2017 issue of Dutch national newspaper NRC Handelsbladlikened it to a ‘stage for the revolution’. At the same time, however, these revolutionary platforms stay within the confines of biennales and documentas, which reminds one of what Walter Benjamin has called the ‘aestheticization’ of politics, which according to him was also a sign of fascism. Is there a way out of this for art? Can art escape from institutions that maybe do not affirm fascism as such, but certainly neoliberalism, and that turn art into a commodity? There is always an escape route! Obviously these places must be regarded as battlefields, as places of confrontation and collision, of conflict and rifts. One can always escape that which biennales and documentas represent: that is, one can and should try to escape their control function – these big art institutions of the state or the market do function as control mechanisms – and artists therefore find themselves in exactly the same condition as the workers. In my view, the problem with art institutions is this: they are arenas, more specifically arenas of a fight for the truth, of critique of ideology and production, places where the discourse of power is exposed, but they are always also marketplaces. The point is to break out of this cage of control by the state and the market and this has always been part of the development of art as it has manifested itself in many different forms, each time in a different manner. For example, at one time we had patrons of the arts who had the same role as the art institutions of today; it was no different then. And so we have this whole history of constant artistic resistance against these conditions. I don’t think that art has ever been in line with power in any way. The great Italian Renaissance painters and sculptors were not, nor were the painters of the Golden Age in the Lowlands. On the contrary, there have always been breaking points in art that become evident in the artistic production, while these painters and sculptors were nevertheless an integral part of their specific social context. Because of these breaking points one can regard art as a way of unearthing the truth. They qualify art as a mode of truth. I often talk to friends-comrades who make art and they are becoming increasingly critical of the market. There is a general resistance against the market these days in the actions of those comrades who believe strongest in or empathize with the class struggle – a rejection of the market that is becoming more and more radical. The protest is expressed in this negation, which is quite strong, and it leads to a radical criticism without compromise and without market possibilities. There is of course also, and quite often, a strong temptation of ‘nothing’, of not doing / making, or of presenting art works that express a not-doing / not-making. Anyway, I tend to be cautious with regard to these issues, and I think that in every action – and therefore also in art actions – a material composition is required and therefore a composition with reality as well. What I mean is: one should neither look for purity nor demonize the power / force. In Assembly you emphasize the importance of language and communication. You mention the changing of meaning of words, speaking, and translation, and the appropriation of words as important political action. In this context you posit the idea of entrepreneurship of the multitude. Is this at all possible with a term like ‘entrepreneurship’, which has been associated with capitalism in all its guises for over 200 years? Is there not a risk that critique will wither and distinctions become blurred with such an act of appropriation? I don’t think so, and frankly I don’t understand why such a polemic arose around specifically this issue as soon as our book was published. We, Michael and I, have always recuperated and reused words, and reversed their meaning in our work. For example, ‘empire’ may be the most academic and traditional term in the history of political science. Not that we were the first to do so: the word ‘capital’ as the title of Marx’s three-part book on the critique of political economy is about as capitalistic as can be. There is nothing wrong in appropriating words that are part of the tradition and ethics of the capitalistic bourgeoisie and assign them a new meaning. On the contrary, this is what we should do. The problem with regard to this form of language practice is to understand the force of reversal. As to the semantic series of words such as ‘entrepreneurship’, ‘enterprise’, ‘entrepreneur’ in relation to the common – because we never just speak of ‘entrepreneurship’ but about the ‘entrepreneurship of the common’ – the word ‘enterprise’ admittedly is rather ambiguous. Enterprise is something like Christopher Columbus who crossed the Atlantic Ocean and demonstrated a huge capacity for invention. So on the one hand the word refers to a heroic, fantastic project. Columbus engaged in an improbable and completely new undertaking in the space of his time. On the other hand, the term ‘enterprise’ also refers to that with which it is commonly associated, namely a project aimed at financial profit and at generating income. What we try to do in Assembly is to appropriate words that belong to tradition. We see it as our task to gain words for the common, to recuperate the words. Again, we do not speak of entrepreneurship tout court, but of entrepreneurship of the common. Speaking of the entrepreneurship of the common has the same potential and power as speaking of refusing to work: it leads to a re-appropriation of the common. So the power of this language use lies in this action of re-appropriation and in this the reversal is crucial. In Assembly you imply that revolution is ontological and not a contingent event – that revolution is not aimed at seizing power, nor that it brings you to power, but that it changes power, or that it can bring you to power but that it changes the nature of power in doing so. You call upon the multitude to seize power in the sense of Machiavelli at the end of The Prince (1532): a call for a new leader who emerges from the multitude, and to not waste the opportunity. What is essential here is the phrase ‘to take power differently’, by which you mean, with Spinoza, that the ‘common’ or ‘freedom, equality, democracy, and wealth’ are guaranteed. ‘Differently’ here does not mean repeating the hypocrisy of freedom (without equality) as a concept of the right, nor that of equality (without freedom) as a proposal by the left. The formulation therefore is inspired by Spinoza to whom the ‘common’ was the basic idea that can also be summarized as: there is no freedom without equality and there is no equality without freedom. Common is an ontological and logical category that assumes and unites an internally contrasting multitude of singularities. Our question is twofold. Why speak of ‘commonism’ instead of simply calling it ‘communism’? And where is solidarity in all this? Why we don’t call it ‘communism’? Perhaps because that word has been all too much abused in our recent history. In Italy, in the 1970s, there was a group of situationists who called it commontismo(rather a sympathetic lot, these situationists, but it all ended very badly: they turned out to be activist robbers, went to prison or became drug addicts; it all ended tragically). I have no doubt that one day we will call the political project of the common ‘communism’ again. But it’s up to the people to call it that, not up to us. Where is solidarity in our discourse? In everything we say there is solidarity because solidarity is in the principles of our discourse. To say it in Aristotelian terms, there is solidarity as in three of the four types of causes: as material cause in the rejection of loneliness, as efficient cause in the collaboration to produce and as final cause in love. In other words, everything that we propose, our entire theoretical building, has its material, efficient and final cause in solidarity. The ‘commontism’ is drenched in solidarity. One cannot live alone, in loneliness, one cannot produce alone, and one cannot love alone. Our proposals cannot be read in any other way but as proposals of solidarity, or how to escape from loneliness. We have to escape from loneliness in order to define a solidary, close community, as we cannot survive alone in a barren desert. We must escape from loneliness in order to produce, because alone we would never have the means or the time. We must escape from loneliness in order to love, because on your own and without someone else there can be no love. This is the only way to understand this radical transition of / to the common, a transition that we are evolving towards, by the way. There is truly a developing tendency towards solidarity and towards an escape from loneliness. We live in times of great crisis and terrible emptiness but at the same time these are also times of great expectations. We are facing a void between that which is finished and that which still has to begin. Especially in talking to young people one becomes aware of this terrible loneliness, but also of this great longing. The desert caused by neoliberal capitalism is insufferable in every regard. Our next question is about that. As in your previous writings, in Assembly you start from the optimistic thought that the Occupy movements demonstrate a rebellion of the multitude, that the ‘possible is a given’, that the ‘common is a given’. But in Assembly you also pose the question, perhaps for the first time, regarding why the revolution of the Occupy movements failed. Does this indicate a turn in your work, a turn away from the earlier optimism? And what does this mean for the idea of revolution? There is no turn from optimism to pessimism in our work. What we attempted to do is to understand the problem in a realistic manner and to think about possible solutions. The problem as we see it is that of the limits and limitations of movements, both of Occupy and other movements we have seen over the past decade. The most important limitation, in our analysis, is that these movements have not been willing or not been able to translate themselves into institutions and that where they did attempt to do so and in those cases where they actually formed institutions, it all ended in a betrayal of the movement. We see this for example in a part of the Indignados that founded Podemos, who eventually betrayed the situation from which they departed. Having followed all the debates from close up, my opinion of Podemos is negative. They have not succeeded in maintaining the reversal of the relation between strategy and decision or between tactic and strategy, leaving only the tactic. So it is not about being more or less optimistic, but about grasping the problem in a realistic manner and about thinking of ways to solve the problem and this is what we try to do in our work. We try to see the limits and limitations of the political common-movement. Our conclusion is that power should be seized, but that in and with that operation power should be changed. Therefore, as you quote and as we expressed it in Assembly, it is all about ‘to take the power differently’ and then maintain this radical transition / reversal. You also deal with populism in Assembly. Shouldn’t we discard the term ‘people’ anyway? Yes, that’s what the common is all about. The term ‘people’ stays within the logic of Hobbes and the bourgeois line of sovereignty and representation. It is a fiction that violates the multitude and has only that purpose: the multitude should transform itself into one people that dissolves itself in forming the sovereign power. Think of the original frontispiece of Hobbes’ Leviathan, which perfectly illustrates this. But it was Spinoza who, against Hobbes, emphatically used the concept multitudoand underlined that the natural power of the multitude remains in place when a political ordering is formed. Actually, Spinoza, in elaborating these concepts of multitudo and comunis encapsulates the entire issue of politics and democracy, as I have attempted to demonstrate in my book L’anomalia selvaggia and to which we refer again in part in Assembly. Crucial in the transition of singularity to the common, Spinoza teaches us, are imagination, love and subjectivity. Singularity and subjectivity becoming common and translating themselves into newly invented institutions, is one way of summarizing commontism. With regard to the current digital and communicative capitalism you also dwell on critique and what you call Horkheimer’s and Adorno’s techno-pessimism. You state that in order to arrive at an evaluation of modern technology it is necessary to historicize the arguments of critique. The position of Horkheimer and Adorno only relates to the phase of capitalist development that is controlled by large-scale industry. This constitutes a serious limitation of their critique. My question is: is this restriction of their critique related to the counter image of Enlightenment and modern thinking as forged in the Romantic period by opponents of revolutionary ideas and emancipation and in which their Dialektik der Aufklärung is also caught? Or, to put it differently, is it due to the fact that they do not make an explicit enough distinction between emancipatory modern thinking and capitalism? What is your view on this, also in the light of your thesis on the alternative modernity of Machiavelli-Spinoza-Marx, in which the first two are regarded as the main suspects by Horkheimer and Adorno? I grew up against the background of the critical theory of the Frankfurt School and it is evident that operaismo is indebted to their critical work, but at the same time the entire development of operaismo can be seen as opposing the conclusions of Dialectic of Enlightenment (1944). Horkheimer and Adorno’s work leads to extremes and extremism, it takes you to the border and then you can’t go any further. It is the conceptualization of a hermetic universe. 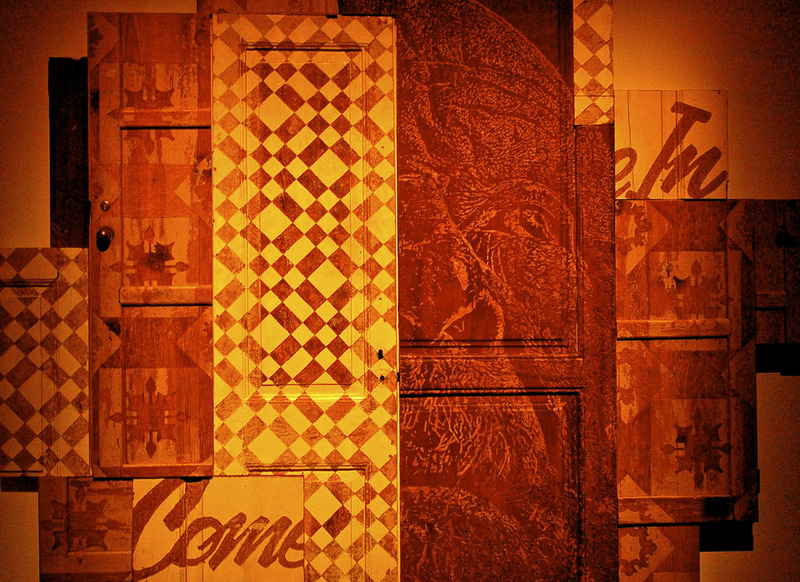 In operaismo we asked ourselves, departing from this hermetic universe, how one could break it open. Instead of ending where they did, in operaismo we took the hermetic universe as a starting point, that is the universe of capitalism, of the excesses of instrumental rationality, and of the logic of control and repression, and we asked ourselves how we could break open this hermetic universe. We looked for ways to force open this hermetic universe, which had deteriorated into commodity and was heading for catastrophe. Introducing subjectivity is the central element in this, the crowbar. So we are the children of the Dialectic of Enlightenment, but also rebel against it. What we rediscovered in operaismo (and also in Assembly) against the positions of Horkheimer and Adorno’s dialectics is ontology, the class struggle and the possibility of subjectivation. Our interest in the pre-1968 Herbert Marcuse can be seen from this perspective, and what has been especially important, according to us, is the work of Hans-Jürgen Krahl. He was a young student of Adorno who was killed in a traffic accident in early 1970, but he wrote a very important work about the formation of the class struggle, Konstitution und Klassenkampf (published posthumously in 1971). His discourse was similar to what we tried to do in Italy. It involves the discovery of the immaterial and intellectual labour that had the potential for political action, for liberation and for breaking with the total exploitation. Georg Lukàcs also played an important part in this discovery, as did Maurice Merleau-Ponty in France. In the intersection between phenomenology and Marxism we find the fabric in which our movement originates. If you, as an intellectual, thinker, researcher, critical theorist, were to give an assignment to the future generation, what would it be? What I see as most important, as fundamental in my life, and what I experience as unique in my life and something that connects everything and is positive, is the fact that I have always been a communist militant. Throughout my life I have never done anything, not as a philosopher nor in any of the many other professions or occupations I engaged in, not as a sociologist or sometimes even as professional politician, never have I undertaken anything that wasn’t completely driven by my communist commitment. I have always been a communist militant in everything. That is what I would like to leave to the future. I would like for communist commitment to become the central element again in people’s lives. Because the commonist militant is the salt of the earth. Sonja Lavaert is professor of philosophy at the Vrije Universiteit Brussel. She has published on early modern philosophy (Machiavelli, Spinoza), radical contemporary philosophy (Agamben, Negri, Virno), critical theory, Italian studies and philosophy of art. She is the author of Het perspectief van de multitude (2011) and she co-edited The Dutch Legacy. Radical Thinkers of the 17th Century and the Enlightenment (2017) and Aufklärungs-Kritik und Aufklärungs-Mythen. Horkheimer und Adorno in philosophiehistorischer Perspektive (2018). Her research focuses on the philosophical representations of history, and on the genealogy of political and ethical concepts in the interdisciplinary area of philosophy, language, literature, and translation.Credit: This essay is reproduced from the forthcoming book with the kind permission of the authors Pascal Gielen and Sonja Lavaert and publisher Valiz, titled Commonism: A New Aesthetics of the Real, edited by Nico Dockx and Pascal Gielen, for the Antennae-Arts in Society series (Amsterdam: Valiz, September 2018), www.valiz.nl. Text licensed under Creative Commons Attribution-NonCommercial-NoDerivativeWorks 3.0 License.